Design a solution to help decrease food insecure LA population and address LA County Department of Public Health’s focus on improving participation in food assistance programs and reduce food waste. 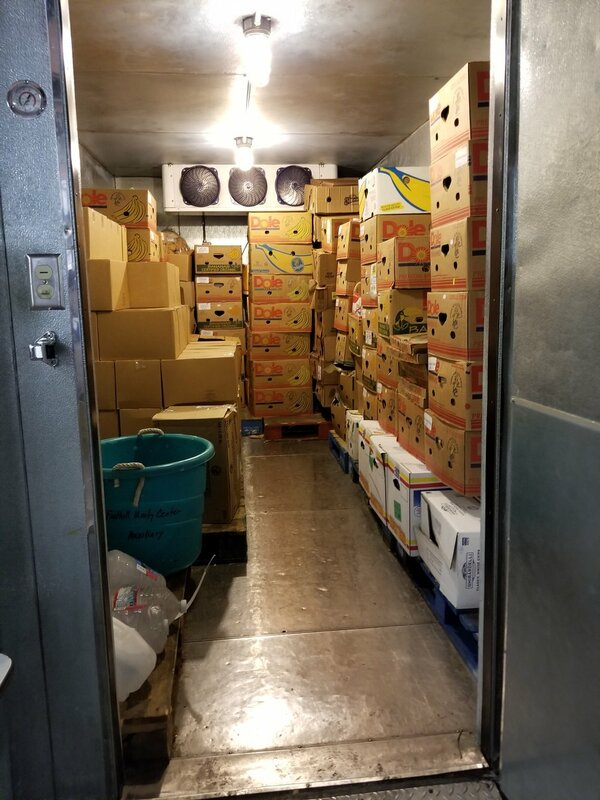 With the continuous increase in food insecure families and individuals, the need for more resources, help, and attention heightens; however, 41% of LA food banks reported not having enough food to meet the increasing demand and 43% reported turning people away because they ran out of food. There are numerous food pantries, food banks, governmental organizations, religious organizations, federal programs, schools, and other non-profits that are striving to help alleviate this issue, but due to lack of awareness, funding, donations, volunteers, and staff, it makes it difficult for them to efficiently and comprehensively help the large food insecure population. From the current situation, we wondered, what could help both the organizations and volunteers trying to help and the people who need to receive this help to connect with one another? Through analysis of (LA County data), secondary research online, ethnographic research, and volunteering, I was able to see that because food is a basic fundamental necessity for human survival, the lack of food directly impacts the other 2 pillars: medicine and shelter. When one pillar is lacking, a negative domino affect will occur on all three. 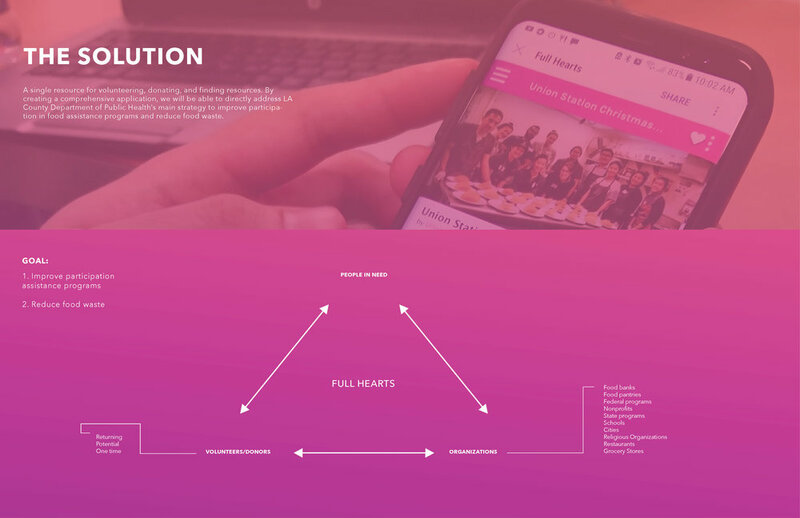 When observing what is currently available online and on digital application stores, the number of platforms for these stakeholders to use as a form of connecting and understanding the resources currently provided at various food banks, pantries, schools, cities, and non-profits is nearly nonexistent. Specifically in the app store, there is nothing available city-by-city; furthermore, people are not likely to look for information through the USDA. The current situation is not easily accessible, searchable, or centralized. Nothing is up-to-date and everything looks to be short term projects. I primarily focused on interviewing and studying stakeholders in the local Los Angeles area. Consolidating a list of all the resources related to food insecurity into a data sheet helped me grasp a more comprehensive understanding on the current situation of how various organizations were trying to solve food insecurity. Volunteering at food banks and food kitchens also gave me a different perspective on how volunteers, staff, and people in need interacted with one another. 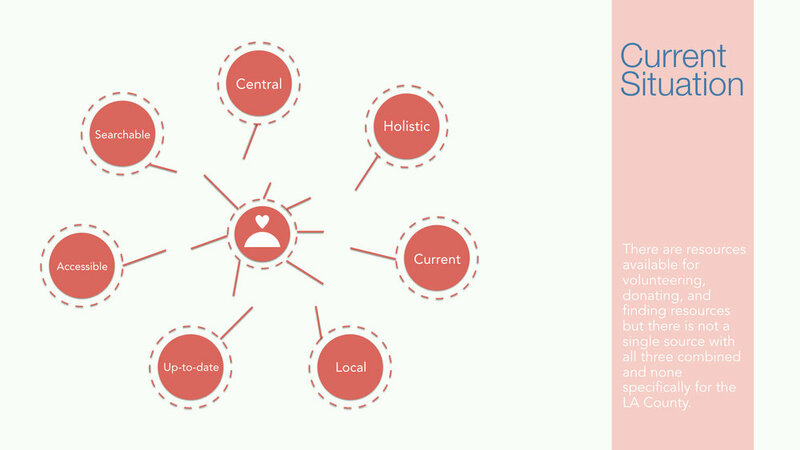 The ethnographic research gave me the opportunity to find pain points within the system itself for volunteering (sorting, registration, high turn-over rate, exposure, monotonous tasks, lack of ownership, and recruitment). Seeing face-to-face the lack of time staff had to carry out all the necessary tasks to help the users gave me a bigger sense of urgency. By brainstorming on the main pain points, I came to the realization that the most impactful solution would be an application that connects all local resources in the LA County to the volunteers and the people in need. By creating a comprehensive system, we will be able to directly address LA County Department of Public Health’s main strategy to improve participation in food assistance programs and reduce food waste. 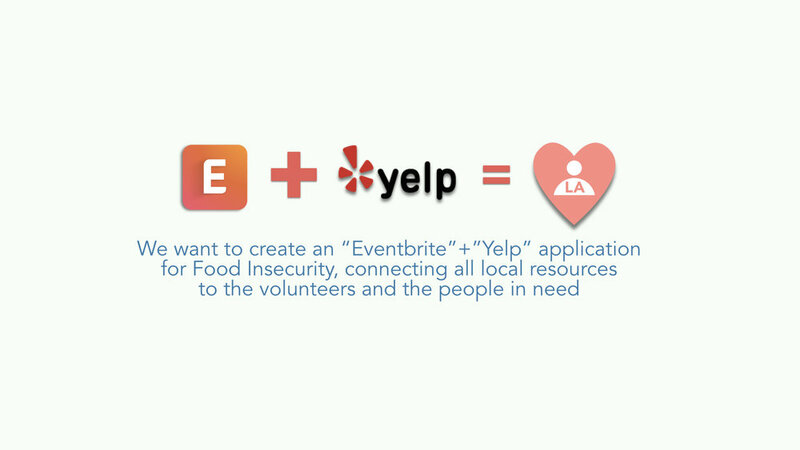 After testing the efficiency of the app in LA County (which has the highest food insecure population in the US), this model could potentiallybecome a template or framework for other cities to emulate and instill into their own cities. Because I wanted to make a platform that was a fusion of both Yelp and Eventbrite, there were many more features, components, and design decisions to make.